So its nearly Easter again and this year I thought it would be nice for mummy, James and Freddie to do some crafts together after school! Now that Freddie is that little bit older he has really started to get into his crafts especially at Sure Start! Browsing Pintrest has to be one of my favourite things to do, mostly for recipes, but I do like to search out craft ideas for things the boys could possibly try! These are my favourite ones that I am thinking about trying out! This one looks like so much fun! Making a handprint into air dry clay and adding a photo of each of the boys into the palm once dry and then adding details to turn it into a chick! These would make lovely Easter presents for the boys to give to their Grandparents! 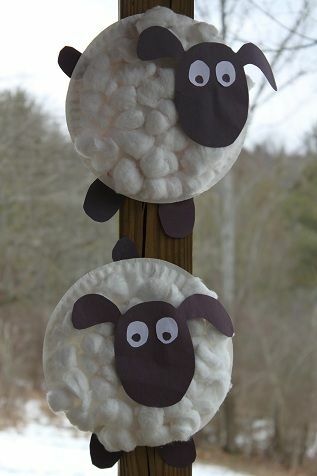 This wooly sheep looks like something both boys would love to make and getting the supplies to make the sheep aka cotton wool balls, paper plates and black paper can all be bought relatively cheaply from poundland! This looks like so much fun for the boys!! 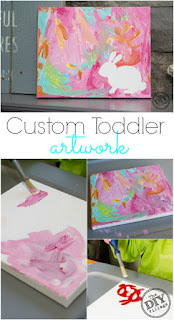 We did something like this before with their initials taped onto the canvas and then we let the boys loose with the paint! Again I think this would make a lovely Easter Present for the boys Grandparents! This one again looks like so much fun! I think this would be easier for James than Freddie if I'm honest, but I look forward to hopefully trying it out! 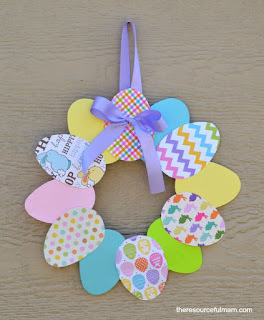 So these are a few of my favourite Easter Crafts on Pintrest that I am hopefully going to try out with James and Freddie.